Yesterday I painted by the lake! 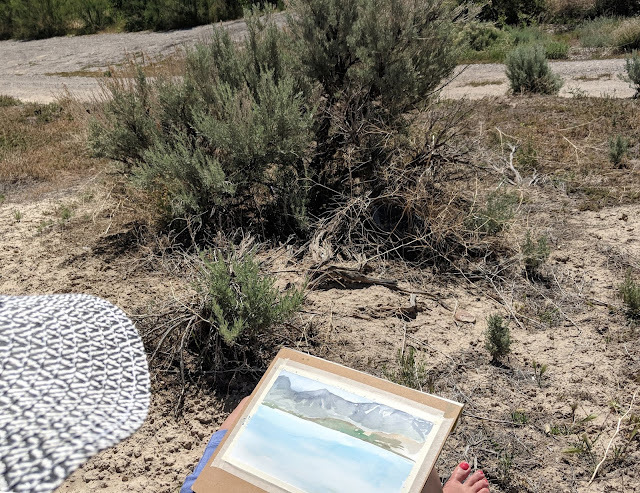 It was sunny,72 degrees, and gorgeous- perfect for some plein air painting! 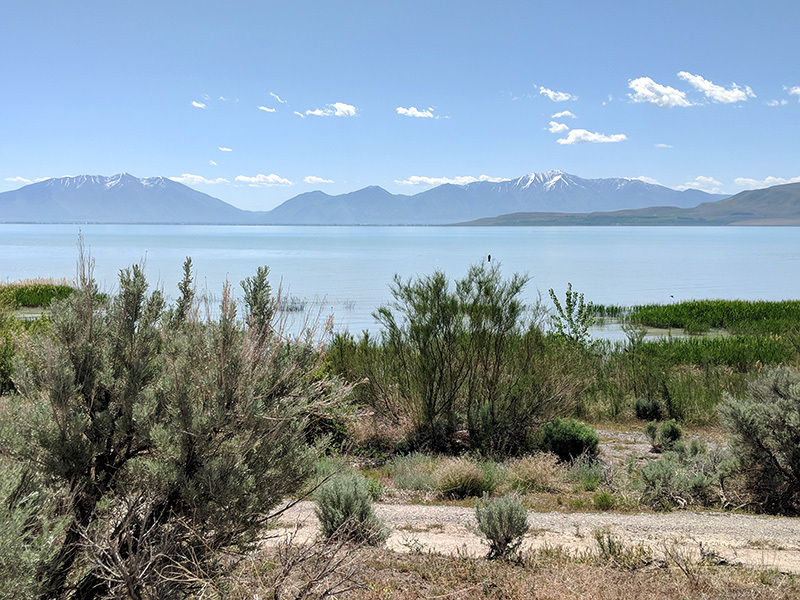 I live very close to Utah Lake and this amazing spot is only a 10 minute drive from my house! Usually I get busy and don't take the time to get outdoors with my paints, but I need to do it more often. It's good for the soul. 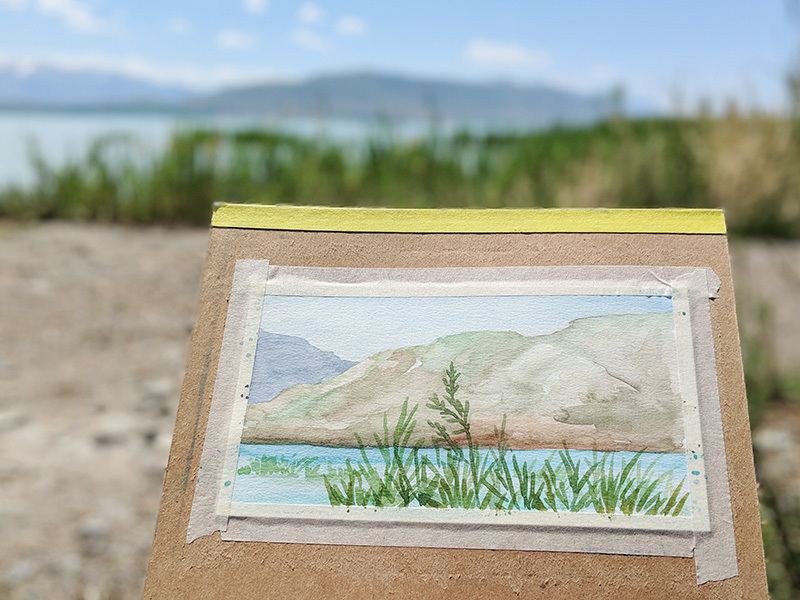 For my outdoor paintings, I tape down watercolor paper to left-over painting pad backs. The stiff cardboard is perfect for this. I cut down an 11x15 inch board and tape paper onto each side. I keep the cover of the pad on so that it can cover one of my paintings while I'm working on the other side- genius! Beautiful!! 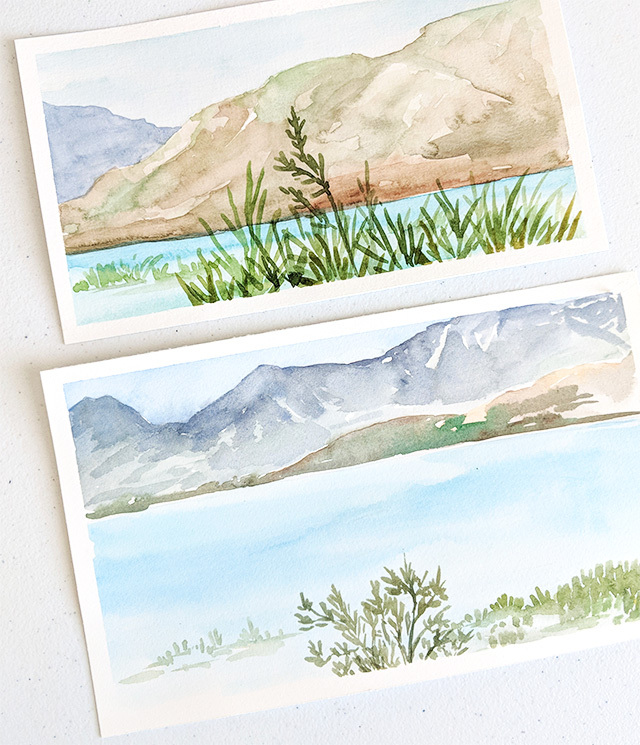 Would love to see a tutorial for your landscape watercolor, both paintings are beautiful! Thanks Tami! Yes, I need to do a landscape tutorial one day- thanks for the suggestion!